The information presented on this page was originally released on August 18, 1995. It may not be outdated, but please search our site for more current information. If you plan to quote or reference this information in a publication, please check with the Extension specialist or author before proceeding. Mississippi's soybean growers' harvest in 1994 averaged 31 bushels per acre. Until recent weeks, growers had been optimistic for another strong yield. "The last time the whole state received a good general rain was around July 4," Blaine said. "Rains from Hurricane Erin were spotty in the South Delta and almost zero in the North Delta. The moisture it brought to the rest of the state around the first week of August is almost gone." Blaine said hot conditions are resulting in an evaporation rate of close to 2 inches of soil moisture each week. Growers irrigate about 25 percent of the state's soybeans. "Erin didn't make (finish) the crop where rains fell. Those crops need another rain now," Blaine said. Robert Martin, area soybean agent in Issaquena County, said Erin delivered less than 1/2 inch of rain to the Delta soybean fields above the Yazoo River. "Most fields were looking good until the last couple of weeks. The later varieties are looking especially stressed," Martin said. "The earlier varieties are in the process of filling out pods and probably will have smaller, lighter beans because of the drought." Martin said about 30 percent of the Delta crop is planted in early maturing varieties. "With one more good rain, we could have a crop as good as last year, but it's got to come quick," Martin said. Eddie Harris, area soybean agent in Humphreys County, said fields east of the Delta benefitted from Erin but are beginning to need another soaking rain. Harris said soybeans are entering the time when disease and insect pressure will become more of a factor. Growers will need to watch closely for invasions of damaging pests, especially worms that may move from cotton to soybeans. 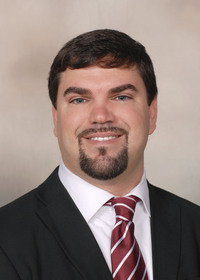 DeWitt Caillavet, extension agricultural economist at MSU, said soybean prices have fluctuated after the recent production estimate announcement. "Because the report estimated the soybean crop to be larger than expected, prices dropped for a short while," Caillavet said. "November futures have returned to just below the $6 per bushel range." Caillavet said soybeans will continue in a "weather market" where any major climate effect on the crop will influence prices. He said prices probably will remain near the $6 per bushel level for a few weeks. The U.S. Department of Agriculture production estimate predicted a national crop of 2.25 billion bushels, which will be slightly below last year's harvest.